June Gloom Problems? No biggie! Let this month's weather INSPIRE your next outfit. Banana Republic hooked me up with a fresh (literally) linen blazer and pants that have different prints but make a great pair together. 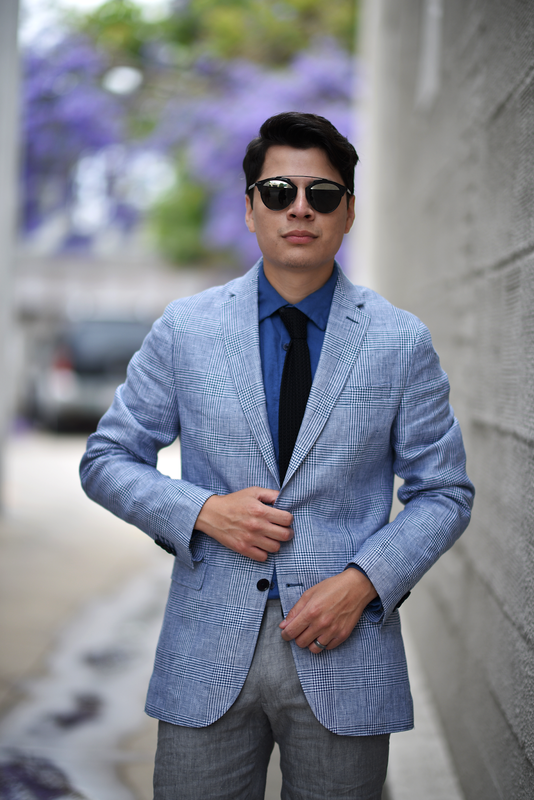 The blazer is very lightweight and true to its size; if there's one thing I love about Banana Republic is that their slim fit suits fit me just perfect. 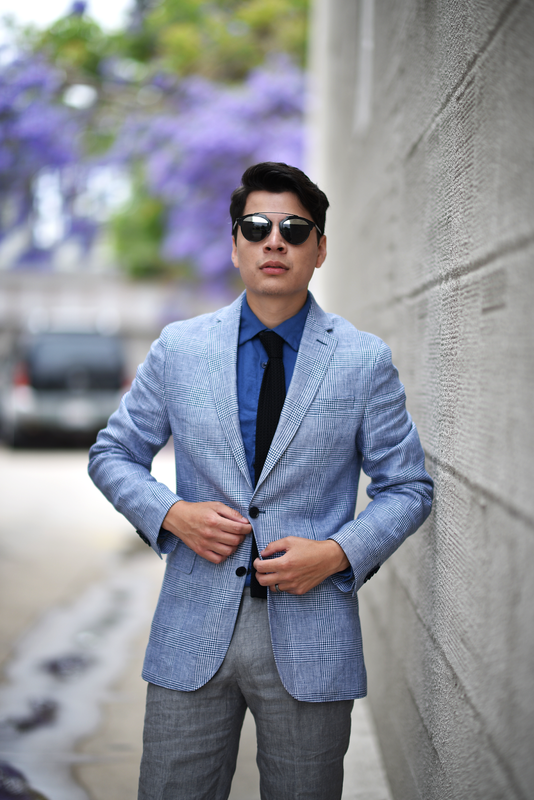 The gray linen pants are perfect to style with this blazer or with any other item such as a denim or leather jacket along with your favorite tee. As you can tell by the puddle of water, San Diego's been having its rainy days, but that shouldn't stop you from dressing sharp!